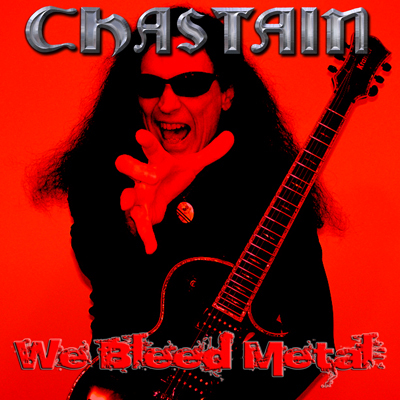 AN INTERVIEW WITH GUITAR WIZARD DAVID T. CHASTAIN! This week we're back on track with major features...and we've got a good one to break the drought! THERON MOORE caught up with one of America's best metal guitarists, DAVID T. CHASTAIN! This guy has been active in the scene since the early 80's and has contributed in innumerable ways, including legendary records with CHASTAIN and CJSS, as well as other bands like SPIKE and ZANISTER. He's also the owner and head producer for the Leviathan Records label. He has a brutally honest chat with us regarding the state of modern metal and music in general and what it takes to survive. He also talks about the new Chastain and CJSS records! An incisive talk with an American legend which you can read HERE. Upcoming: interviews with the cult doom/death masters DREAM DEATH, a nostalgic talk with GARY GOLWITZER of Chicago mainstays WRATH and STYGIAN, a talk with prog/doom/psych merchants BLIZARO, an article looking at the famous PROF. QUATERMASS series of classic SF films and a brand new Wormwood Files article. Plus some other stuff that I shall reveal later! An economy sized edition of the Torture Chamber now beckons, with a range of underground music wider than any hitherto experienced! DAYGLO ABORTIONS "Armageddon Survival Guide"
HOLY GRAIL "Times of Pride and Peril"
BLOOD CEREMONY "Lord of Misrule"
CLITEATER "From Enslavement to Clitoration"